Working at a data-visualization agency has its perks. You’re constantly exposed to new data and interesting stories. Some data sets, however, leave me thinking in Queen lyrics: Is this the real life, or is this just fantasy? 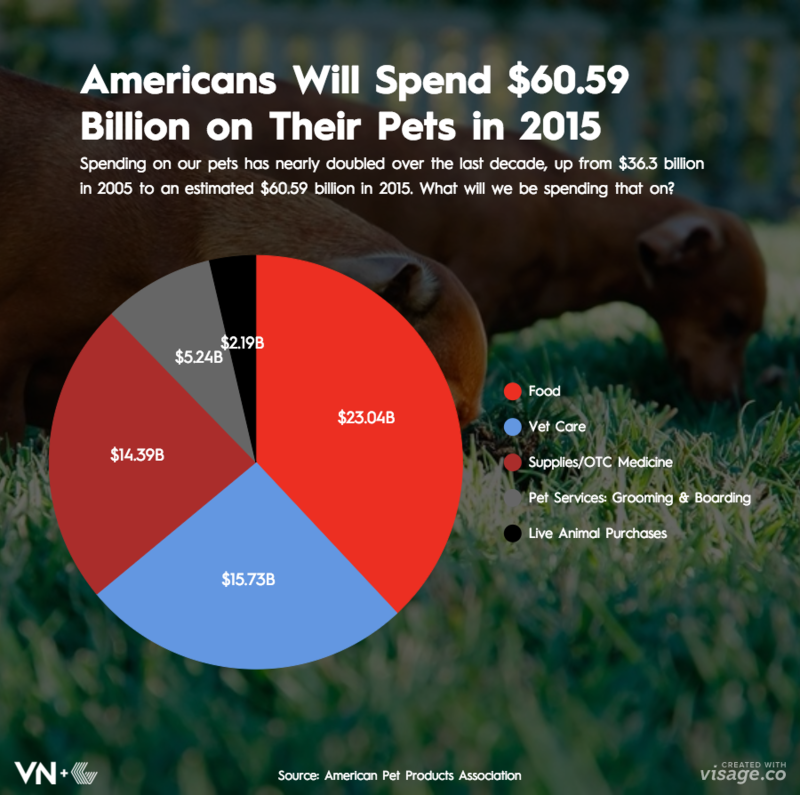 In a new study by the American Pet Products Association, we learn that Americans are set to spend $60 billion dollars on their pets in 2015. Billion. To put that in perspective, $60 billion is more than the entire country of Guatemala’s GDP in 2014. So, where is this $60 billion being spent? Below we break down the overall spending by category.